It’s Teacher Appreciation Week! Our teachers work hard each and every day to instill a love of learning in our little ones, and this week is the perfect time to thank them for their dedication to early childhood education. 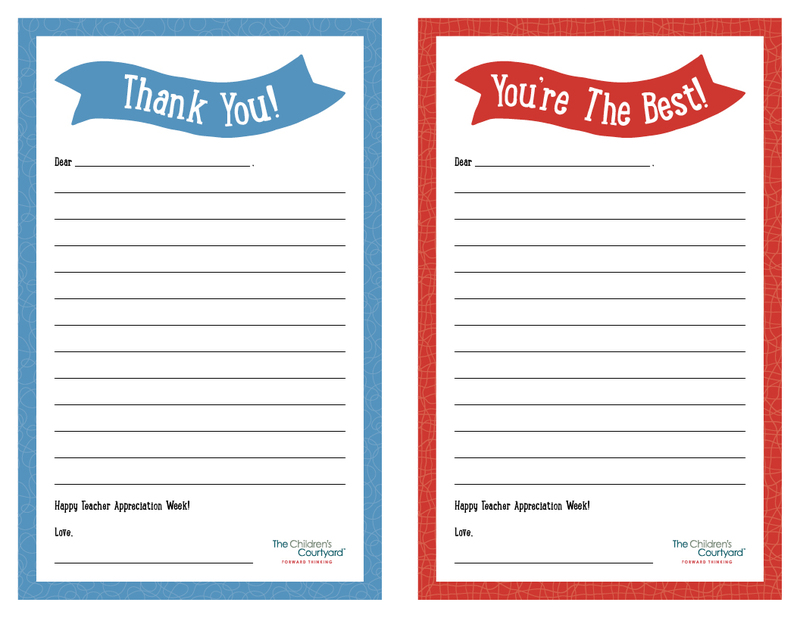 For a sweet way to say “thank you,” have your child write a personalized note for their teacher! Just click the image below to print off a free template (we’ve got four different ones for you to choose from! ).